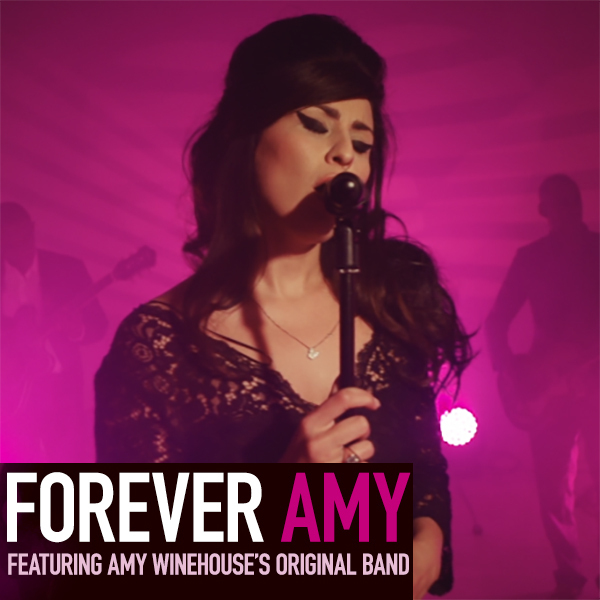 FOREVER AMY | Love Productions Inc.
‘Forever Amy’ is a stunning new retrospective show celebrating the music and live performances of Amy Winehouse. The show features Amy’s original band, with the incredible Alba Plano as Amy and is the most authentic re-imaging of the Amy Winehouse phenomena ever seen. Audiences will be taken on a journey through Amy’s musical catalogue with the musicians who knew her best and helped create her timeless sound. Featuring beautiful lights, staging and filmed interviews, this show will be an unforgettable experience for audiences around the world.